Did you know that, you need an adequate intake of vitamin B-12 to protect your heart and arteries? Vitamin B12, is also called cyanocobalamin, cobalamin is one of the eight B vitamins included in the vitamin B complex family which play vital roles in ensuring that your bodies operate efficiently as they should. How does vitamin B12 benefit your heart? One of the most important vitamin B12 benefits is that it helps to reduce harmful homocysteine levels. High levels of homocysteine appear to increase your risk of the heart disease. Homocysteine is an amino acid that results from your body's ineffective break-down of methionine, an essential amino acid found in all proteins but in greater amounts in animal proteins. Elevated levels of homocysteine are thought to damage your arteries, which can eventually lead to hardening and narrowing of the arteries (atherosclerosis) and blood clots that could lead to heart attacks. Vitamin B-12 has been found to work together with vitamin B-6 and folic acid (vitamin B-9) to control elevated levels of homocysteine in the blood. A deficiency in vitamin B12 can affect the production of red blood cells, decreasing the amount of haemoglobin available for oxygen transport. When this happens, your heart must work harder to transport oxygen-rich blood throughout your body, and you could develop several conditions like, irregular heartbeats or even more serious complications, according to NIH Resources. Who is most at risk for having B12 deficiency? Vitamin B12 deficiency is common among the elderly who tend to have impaired absorption that occurs with aging. You’re more likely for developing a B12 deficiency if you are a strict vegetarian or vegan and do not eat grains that have been fortified with the vitamin, or take a vitamin supplement.. B12 deficiency is also seen in smokers since nicotine can block absorption, in alcoholics, in those with anaemia and those suffering from certain gastrointestinal conditions. Vitamin B12 is found in fish, meat, poultry, eggs, low fat milk and milk products. Since the nutrient is found only in animal products. Vegans usually need to take supplements, vitamin-enriched cereals and fortified soy products. If you’re looking for a food fortified with B12, check the product’s Nutrition Facts label. Although it is best to get nutrients from food, if you have trouble getting enough vitamin B-12 from your diet, your doctor may recommend taking a daily supplement. 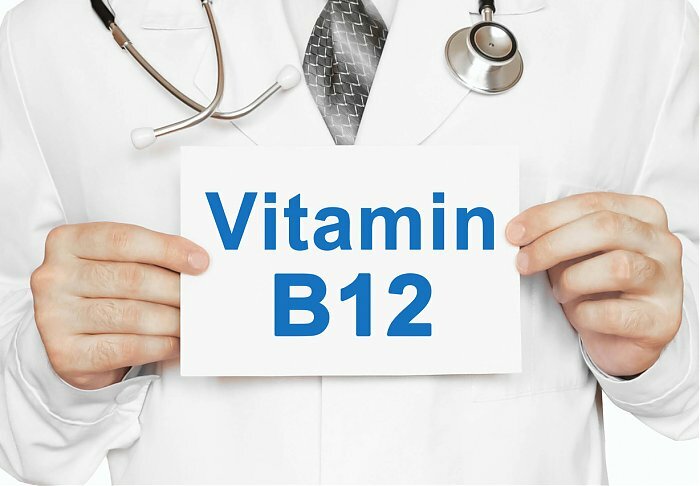 Talk to your doctor about taking a vitamin B12 supplement.